The denominated ceramic step front is a ceramic angle of adaptable dimensions to its use with an average measurement of 1200 millimeters. It is a ceramic product reinforced with dovetail in its horizontal wing to get a better grip on the mortar. 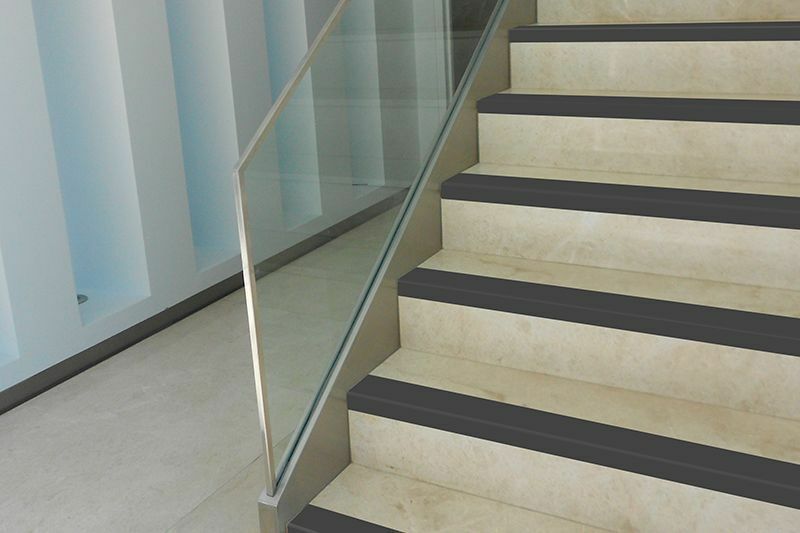 Its surface is glazed and offers an anti-slip finish that allows its use in places such as stairs, terraces and other outdoor spaces. Ease and quickness of placement because it is a single piece of the same width as the staircase. Can be placed with any other material, ceramic or not. Also, regardless of the thickness of the material to which it accompanies. Provides strength and safety to the rung, serving, in turn, signaling the end of the rung. It can be placed indistinctly in interior or exterior spaces, its glazed finish makes it a stain resistant product and easy to clean while being non-slip. The horizontal wing of this product is wider to fit better on the footprint of the step and is provided in its lower dovetail base, which facilitates the grip of the piece to the mortar. Being a single piece of body, it is avoided that, due to the use, the area more traveled, as in the case of other smaller format solutions, can be detached or detached from the step. 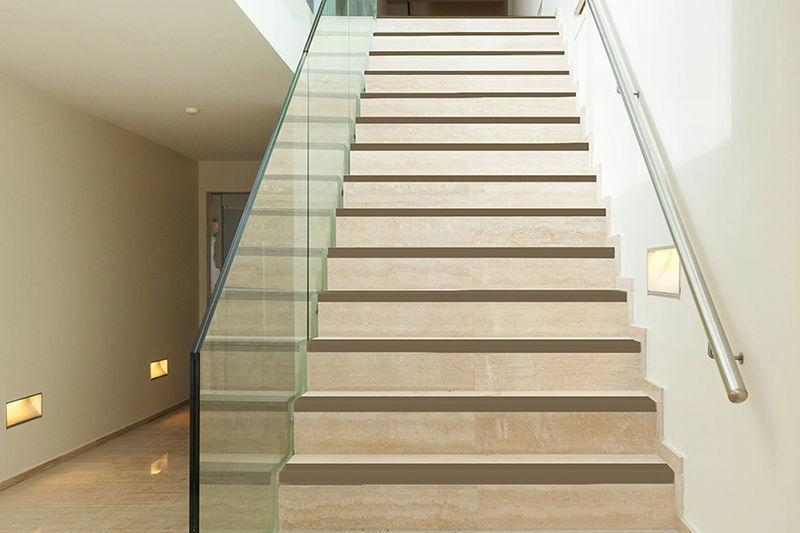 porcelain stoneware step covering / high-resistance PELDAÑOS 1200 MM.